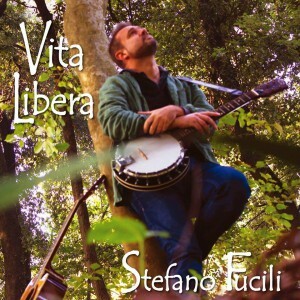 Stefano Fucili is an italian singer, songwriter & producer. He makes a sort of pop with folk, acoustic, rock & some electronic influences. His music sounds like: Sting, Robbie Williams, Laura Pausini, Lucio Dalla. He makes melodic and romantic ballads and he can sing, play guitar, bass & keyboards. He worked with famous Italian artists like Lucio Dalla, Stefano Melone, Keope, and Francesco Gazzè, and opened the concerts of Laura Pausini, Lucio Dalla, Paola Turci, Nomadi, Ron. Stefano is the 1998 Winner of the famous San Marino Festival. His latest album “Vita Libera” was released in 2014. On the album are many Italian and international collaborations (Iskra Menarini, Elisa Ridolfi, Tommy Graziani, Anna Hawkins, Valerie Visconti). A compilation album with 18 hits from the past ten years is scheduled for April. Lead single will be ‘Ti Sento’. This a track that recently is used in a tv commercial of Ti Sento Milano. Check his band-page.